Mindfulness is a state of active awareness and attention on the present. With mindfulness, you intentionally and purposely pay attention in order to be continuously in the present moment. You experience your life as you live it. You experience the world directly through all your five senses. You smell the fresh air around you and you taste the food you are eating. 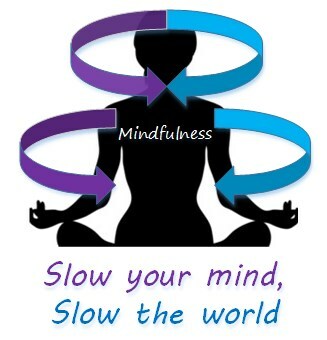 By practicing mindfulness, you become aware of your stream of consciousness. That is, you maintain a conscious awareness of your thoughts, feelings, emotions, and surroundings. You are able observe your thoughts and feelings from a distance, without judging them as either good or bad. Your thoughts are in sync to what you are sensing in the present moment. You are not reflecting on the past or imagining the future. You are simply living in the present moment. 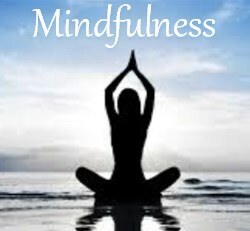 Mindfulness is the practice of purposely focusing your attention on the present experience. It involves a conscious direction of your awareness. So, when you practice mindfulness, your thoughts are in tune with what you are sensing in the present moment. You are deliberately paying attention to your thoughts, emotions, and sensations without judgment. You are not thinking about the past or the future. You are only concerned with what is happening in the here and now. If you notice your mind wandering, focus on bringing your attention back to the present experience. Mindfulness is centered on noticing what is going on right now at the present moment. Therefore, anchor your thoughts in present experience. Direct your awareness away from your wandering random thoughts and towards the present. By purposefully directing your awareness towards the present moment, you create a tranquil place to foster personal serenity and contentment.